This activity is related to a Teachable Moment from Aug. 10, 2017. 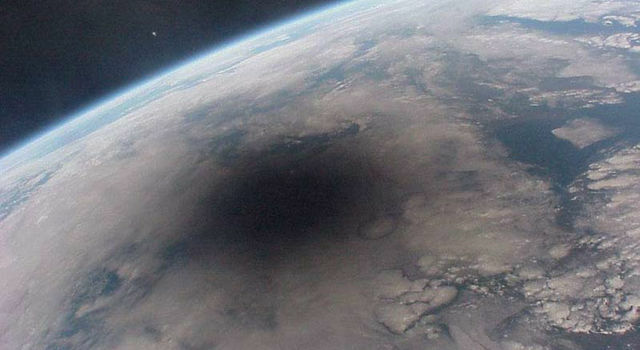 See "Get Students Excited About Science With This Month’s Total Solar Eclipse." Using an assortment of playground and toy balls, students will measure diameter, calculate distance and scale, and build a model of the Earth-Moon system. Depending on the size of the balls used, the scale models can take up a lot of space. Be sure there is enough room and space cleared for walking. Inflating the balloon representing Earth to 8 inches in diameter gives a Moon distance of 20 feet. Inflating the balloon to 12 inches gives a Moon distance of 30 feet, which provides an easily accessible way to compare diameter to distance in the Extension section. Earth and the Moon are an average of 384,400 kilometers (238,855 miles) apart, but when we see them in pictures online or in print, the distance and size may not be to scale. They may appear close together, giving the impression that they are not very far apart. In reality, the reason they’re often portrayed in such a way is because of the great distance between them. Often, showing their actual distance means excluding certain details – and sometimes can’t be reasonably done within the size of an image. To get a sense of the distance between the Moon and Earth, consider this: When astronauts traveled to the Moon and back in the ’60s and ’70s, it took three days in each direction, and their craft reached speeds of nearly 40,000 km/h (25,000 mph)! Since most students will not have a sense of how fast that is, follow that example with a more familiar speed. At freeway speeds, it would take more than five months to drive that same distance. Creating a model of the Earth-Moon system is one way to accurately represent the scale size of Earth and the Moon, as well as the distance between them. Ask students to guess how far away the Moon is from Earth. When the answer (or a close approximation) is given, or several guesses have been made, share the distance with students (384,400 kilometers or 238,855 miles). Ask students if they’re able to compare that distance to anything they know in their everyday life, then ask if they know of ways to make a distance that great more relatable or understandable. Inflate a balloon (preferably blue) to represent Earth. Inflate a second balloon (preferably gray) to the same size to represent the Moon. Ask students if they think the Moon is smaller than, larger than or the same size as Earth. Ask why they think this. Discuss that it is hard to tell actual size when objects are far away. Tell students the Moon is smaller. Ask them to guess how much smaller. Slowly deflate the gray balloon and have students vote by raising their hands when you get to the right level of inflation. After voting is complete and the Moon balloon is completely deflated, tell students that the diameter of the scale moon can be found using information they already have or can find. Measure the diameter of the Earth balloon and use ratios to find the diameter of the Moon balloon. Discuss how the scale Earth balloon’s diameter might be measured. 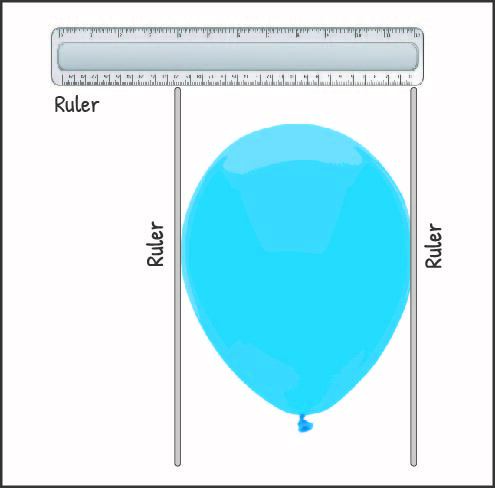 To measure the diameter of the scale Earth balloon, one student can take two rulers or other straight-sided objects and place them in parallel against the side of the balloon while another student measures the distance between the rulers (measure the diameter between two round sides, not between the top and tied-off end). For younger students, you can tell them the Moon’s diameter is approximately 0.25 or ¼ that of Earth (3,475 km (Moon diameter)/ 12,742 km (Earth diameter) = ~0.25). Once the scale Moon diameter has been determined, re-inflate the balloon. Verify accuracy by measuring the scale Moon’s diameter using the method described above. Tie off the Moon balloon once the correct diameter has been reached. Now ask students how far away, at this scale, the two balloons should be placed to create an accurate scale model. Start by placing the Moon so that it’s touching Earth. Ask if the class can agree that in reality the Moon is not touching Earth and ask for reasons why they know this. Have a student hold Earth while you slowly move the Moon farther away. Have the class vote by raising hands when they think you’ve reached the correct scale distance. Once you have exhausted the distance in the classroom (and well-surpassed the correct distance) lead the students through the process of calculating the scale-model distance. As before, students can use information they have to find the scale distance to the Moon. Hold the basketball up for students to see and explain that, like the balloon, the ball represents a scale model of Earth. Ask students what about the ball makes it more accurate in an Earth-Moon scale model. It has nothing to do with the size of the ball, but the roundness of the ball more accurately represents Earth. Building on what students learned with the balloon, ask them to identify a ball (either from the selection gathered for the lesson or any they can think of) that would represent the correct size of the Moon compared with the basketball Earth. Answers will vary, but a baseball or tennis ball is an accurate size for a scale Earth-Moon comparison. To verify, the diameter of the basketball can be measured and ratios can be used to find the size of the scale Moon, which should approximately match the diameter of a tennis ball or baseball. Hold the Earth basketball and have a student hold the Moon baseball or tennis ball. Ask students how they could determine the correct distance between the scale Earth and Moon. They can measure the diameter of the ball and compare ratios, as they did with the balloon. Ask students if this is more or less relatable than the actual distance. Why? Have students pair off to choose a ball from the selection and create their own scale Earth-Moon system using the student data sheet. Explain what a model is in your own words. How is a model alike and different from what it represents? 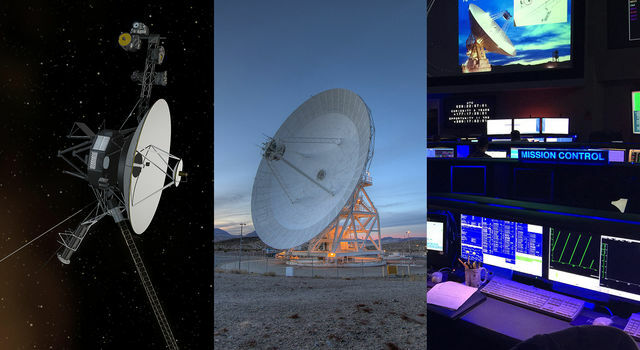 How did the model help you understand the Earth-Moon system? How do the different scale models compare in size? 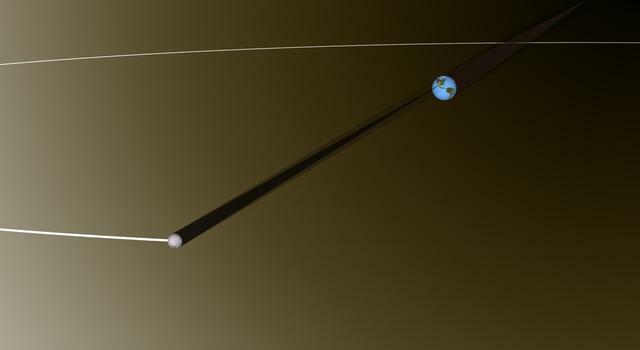 A larger ball representing Earth results in a larger model with a greater Earth-Moon distance, while a smaller ball results in a smaller model with a shorter Earth-Moon distance. If any two groups used the same size ball but used different methods for calculating distance (miles vs. km, comparing different ratios, etc. ), was the distance calculated the same? Why or why not? The whole number measurements are approximations. Also, conversions from standard to metric may account for some difference as well. Check accuracy of math and reasoning on the student data sheet. Challenge students to find the greatest straight-line distance on the school campus and then calculate how big the scale Earth and Moon would have to be at that distance. Challenge students to calculate the travel time to the Moon using different forms of transportation (walking, biking, airplane, etc.). They will need to research or determine the speed of a particular mode of transportation.